Over the past few years, Colorado’s illegal drug policy has begun to undergo something of a shift in philosophy. This shift is evidenced not only by the legalization of the recreational use of marijuana, but also by Colorado’s new drug laws, which moderately lessen penalties for drug crimes. Nevertheless, it is easier than most people think to be charged with a felony under Colorado’s drug laws, even for a “mere user.” In some ways, Colorado’s drug laws are still among the harshest in the country. My name is Christian Schwaner, and I am a criminal defense attorney and former prosecutor. If you have been arrested on drug possession or distribution charges in the Colorado Springs area, I can assist you. I have helped hundreds of people successfully navigate the Colorado criminal justice minefield, and I can help you too. As an experienced drug possession defense lawyer in Colorado, I know the ins and outs of the criminal justice system and can fight for your reputation and freedom. To “possess” an illegal drug, you must have physical control of it. The drug doesn’t have to be on your person – it can be in your glove box or somewhere else that you put it. It is generally assumed that you must know the nature of the substance (you must know that the substance is cocaine, for example, but you don’t have to know that cocaine is illegal in Colorado). Nevertheless, a “willful blindness” defense – taking money for transporting “something” that you didn’t look at but knew was probably an illegal drug – will almost certainly fail. Distribution is the transfer of drugs from one person to another. The transfer does not have to be for money or any other benefit – giving it away free of charge also counts as distribution, although in some cases the non-commercial nature of the transaction may reduce the penalty. Contact me today for a drug possession defense attorney consultation to find out how your case is classified and what are your defense options. Colorado categorizes various drugs into five “schedules” based on the type of drug, in descending order of their potential for abuse, risk of dependency, and medical uses. The lower a drug is scheduled, the harsher the penalty generally is for drug crimes involving that particular drug. Not all of these drugs are illegal, even without a prescription, but prosecution can be based on how a legal drug is used (a DUI under the influence of an overdose of an over-the-counter medication, for example, can be prosecuted). To find out more about the schedule of the drugs you possess, consequences, and defense option, call today to schedule a drug possession defense consultation in Colorado Springs. Colorado classifies drug offenses at six different levels, in ascending order of seriousness – four levels of felonies and two levels of misdemeanors. Misdemeanor Level 2: Incarceration for up to 12 months; fine of $50 to $750. The benchmarks for each level of drug offense are determined largely by the weight of the drug – possession of more than 112 grams of methamphetamine, heroin, or ketamine is a Level 1 Drug Felony, for example. Distribution of less than four grams of ketamine (a Schedule III drug) is a Level 4 Felony, or a Level 1 Drug Misdemeanor if the same amount of ketamine was transferred without remuneration. The mere possession of even one pill of MDMA is a felony. The defendant is on probation or parole for another felony. The defendant is in prison or escaped from prison. The defendant is on bond for a felony charge. The defendant is on probation for felony adjudication. Prior drug convictions, prior crimes of violence, and other aggravating factors can render a defendant ineligible for reduction of a felony to a misdemeanor. In Colorado, possession of an illegal drug with intent to distribute it is generally punished the same as the actual distribution of drugs. Evidence that you intended to distribute the drugs can include possession of scales and baggies, the separation of the drugs into smaller quantities, and possession of a large amount of cash. The distribution or intent to distribute any illegal drug (or quasi-legal drug, such as methadone) can add years to your prison sentence. It is important that you team up with an experienced drug possession defense attorney in Colorado that can fight for your reputation and freedom. The intent was to consume the drug at approximately the same time as the transfer was made. The defendant must produce positive evidence of each of the foregoing three elements before the jury will be allowed to consider a reduction to a misdemeanor. If even one element fails, the defendant will be charged with distribution. 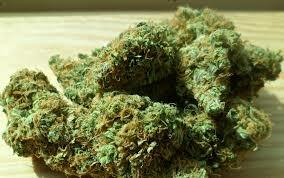 Possession of any amount of marijuana over the one-ounce limit can get you fined. Possession of more than six ounces can get you sent to jail for 12 months, while possession of more than 12 ounces is a felony that can get you sent to prison for up to two years. Possession of more than 50 pounds can result in a prison sentence of up to 32 years. A knowledgeable drug possession defense lawyer that knows Colorado’s justice system can help you avoid a conviction or at least minimize the charges. It is imperative that you choose someone with experience that has a proven record of success. Almost all of the drug offenses punishable under Colorado law can also be punished under federal law. In fact, even recreational use of marijuana is still illegal, although the federal government has been voluntarily refraining from enforcing this law in Colorado and other states where recreational use of marijuana is legal. If both the federal government and the Colorado government wish to prosecute you for a drug offense, the federal government wins and Colorado must abandon the prosecution. Federal penalties can be more severe than state penalties. Drug charges are a serious matter in Colorado. Representing yourself against drug charges, or hiring an inexperienced lawyer to represent you, doesn’t make much sense because an ineffective defense could add years of prison time to your sentence. I am an experienced drug law attorney, and since I have also worked as a prosecutor, I have the advantage of seeing a case from both sides of the courtroom. My years of practice have taught me how the system works, and I understand what you are facing. If you have been charged with a drug-related offense in the Colorado Springs area, contact me at 719-577-9700 or through my online contact page for a free initial consultation on your drug possession case. I can even meet you in jail if you are incarcerated.